If you’re lucky enough to check-in at the Holiday Inn London Stratford City, try out their new Holiday Inn app. It’ll let you grab the latest Olympic updates, check-in, check-out, access room service, laundry services and even use the phone as a in-room phone extension. Not only that, you also get complete control of the TV, the air-conditioning and the lights in your room too. Hold on though – this isn’t quite ready for everyone just yet. Olympic VIP’s staying at the London Stratford City hotel will see 40 rooms equipped with this solution and it sounds like Samsung will be providing shiny Galaxy SIII handsets to each customer too. 27th July 2012, London, UK —Samsung Electronics Co., Ltd, a global leader in digital media and digital convergence technologies, today announced an end-to-end solution for the new Holiday Inn London Stratford City, situated next to the Olympic Park. Samsung has partnered with Fingi Inc., a Samsung Enterprise Alliance Program partner, to enable the hotel to offer residents a full suite of hotel services, remote control room settings and a special Samsung & Holiday Inn ‘Olympic Newsletter’ with the latest updates from the London 2012 Olympic Games – all on the new Galaxy S III smartphone. 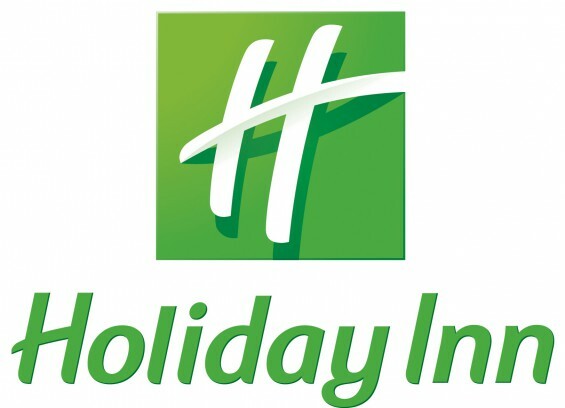 Holiday Inn, one of nine leading hotel brands owned by InterContinental Hotels Group Plc (IHG), is the Official Hotel Services Provider to the London 2012 Olympics. The joint solution combines the Galaxy S III with the fully customisable Holiday Inn for Android app to provide complete connectivity and room control. The customised app will enable the hotel to extend services such as express check-in/out, hotel services including room service, laundry services and hotel facility booking, and the ability to use the Galaxy S III as an in-room phone extension. 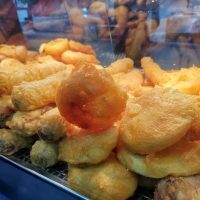 The app also provides local information and Olympic Games updates and results, and is capable of providing location based offers. The mobile solution allows for complete integrated control of TVs, lighting, AC and many other audio-visual and in-room functions such as serving as the room key. The service will initially be available to VIPs staying at Holiday Inn London Stratford City and will see 40 rooms at the hotel equipped with the hospitality solution. “Samsung has a vision of leveraging our Olympic and Paralympic Games sponsorship to leave a lasting legacy in the market for the Hospitality industry and consumers. We are not only breaking new ground for Olympic partnerships, we are committed to enabling consumers to connect with mobile and services for 2012 and beyond,” said Seokpil Kim, President and CEO of Samsung Electronics Europe. The project at Holiday Inn London Stratford City is the first time this hospitality industry solution has been seen outside Asia. It builds on a successful deployment by Samsung and Fingi at the Aloft Hotel in Bangkok, which was the first to offer the new in-room technology, powered by the Galaxy S II and Fingi technology. The combination of travel industry products and services on the Samsung Galaxy S III smartphone is a revolutionary solution for hospitality properties, and will use an integrated customer-branded platform for smart-room technologies, communications, mobile voice and data solutions with on-site amenities and services. Holiday Inn guests will access these services using the app on the Samsung Galaxy S III smartphone, integrating into existing hotel property management, point of sale, and PBX systems, increasing guest satisfaction and operational efficiency. Using a familiar smartphone experience on the Samsungs Galaxy S III smartphone, the products and services will bring revenue generation to in-room technology at Holiday Inn. Samsung is the official worldwide Olympic partner for mobile communications, providing wireless telecommunications equipment to the Olympic Family to support the operations of staging the Olympic Games. With its wireless telecommunications equipment, Samsung also helps Olympic athletes share their experiences with family and friends around the world. Samsung’s commitment to the Olympic Games is one of the company’s most significant efforts in promoting international goodwill. Samsung became a Worldwide Olympic Partner when it joined the TOP Programme in 1997 under the category of wireless telecommunications equipment.